Villa Traful. Just a little fishing village is all we had heard; but what we saw was so much more. Possibly one of the most serene and peaceful towns I have ever been to, it is situated along side Lake Traful in the Neuquen provice of Argentina and its beauty will blow you away. Our first glimpse of this town was from a road side look-out spot on Route 65. A set of corresponding decks were built onto the side of the mountain for those stopping to peak out from this mirador and once I was up there I knew exactly why. 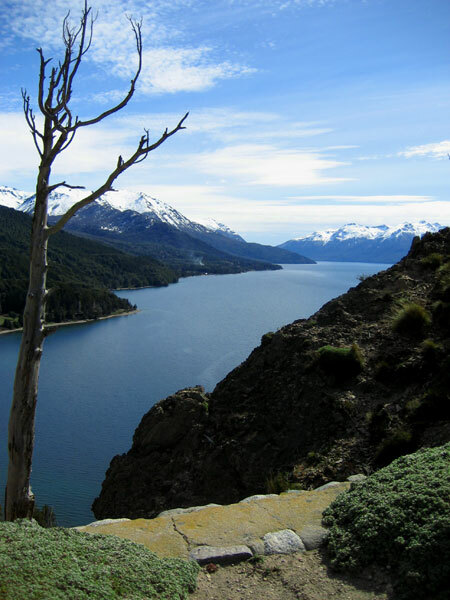 The Neuquen area is renowned for its beautiful sights and amazing mountain ranges, but this spot topped the charts. Looking down from the decks one can see the cliffs and water that sits deep below. The lake stretches for miles and meets at the base of the huge mountains behind. And when looking very closely, one can see a small splatter of lights which is Villa Traful. The town itself is very quaint and is a perfect reflection of the surrounding environment. 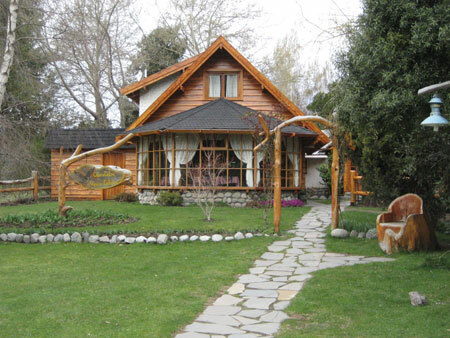 Every building is constructed in a traditional Andean style with a mixture of wood and stone from the surrounding area. The homes, the one church in town, and even the playground swing-set capture the simplicity of Villa Traful. Various paths on the edges of town lead you to waterfalls, miradores (look out spots), and many other places within the forests. 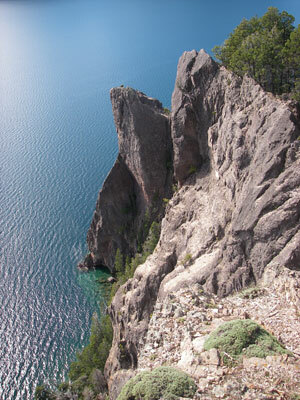 Trekking and fly fishing are the most common attractions to the area. Although I myself did not have the time to whip out my fly pole, I have heard many great fish tales that occurred in Lake Traful as well as within the rivers that feed into it. Instead, we ate lunch on one of the docks that sits on the lake while being entertained by the local children fishing off the other end. Our picnic was followed by a hike up the mountain to a waterfall and climbing around in some of the giant trees. 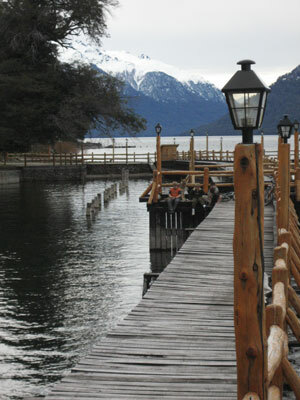 This quick trip was a very rewarding one and I highly recommend stopping by Villa Traful on your Argentina adventures. Villa Traful is within a National Park, so make sure that any fishing you plan to do is authorized before casting that first line. creo que es un lugar realmente hermoso para descubrir…la paz reina en todo el ambiente… es hermoso se los recomiendo!!! hola!!! BUENO! LES CAMBIO DE LUGAR!!! AMO MAR DEL PLATA!!! JAJAJA YO VIVO A 2 KM DE VILLA TRAFUL. MANDEN MAILS!! BESOTES! conoci villa traful, y es un verdadero paraiso. hola…….el verano del 2010 quiero irme de vacaciones a este maravilloso lugar…..saben de campamentos….ó hostel baratos? This page rendered in 0.491 seconds.